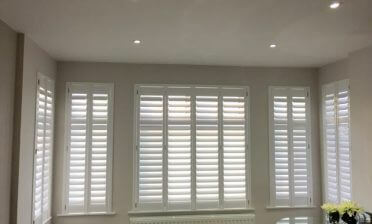 Jamie was on hand to fit these great plantation shutters for a homeowner in Beckenham, Kent. 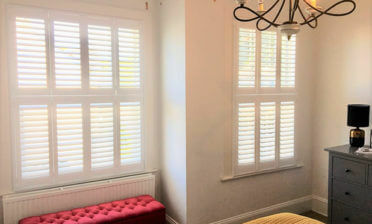 The shutters were to be fitted to a bay window and needed to perfectly match the existing window and room decor. 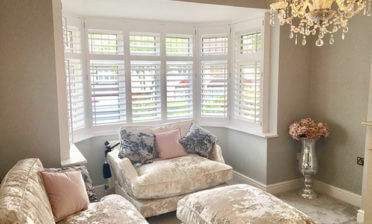 All our bespoke shutters can be tailored around the exact window recesses and room styling, resulting in the perfect solution and look which is unique to your home. These shutters were created using hardwood and constructed in a Tier on Tier style. This style allows the shutters to be opened, closed and adjusted in a multitude of different ways which is a major advantage when it comes to privacy and lighting. 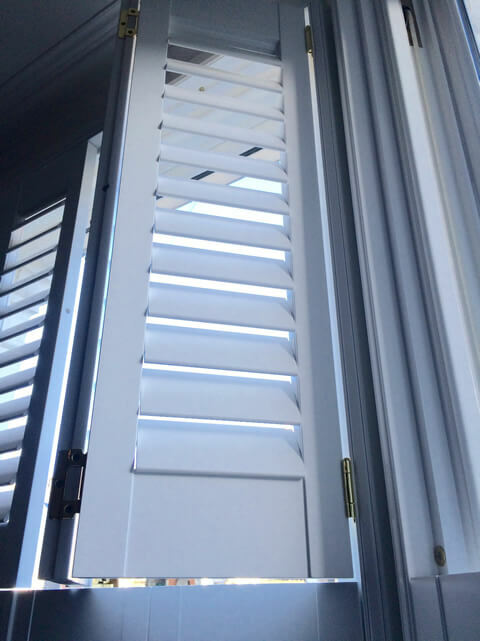 Unlike our other styles of shutters the bottom and top sections can be opened and closed independently, allowing for example the tops to be fully flung open and the bottoms to be sealed shut for lower level privacy with maximum light from the top! Of course each panel can also be adjusted separately depending on your preferences. 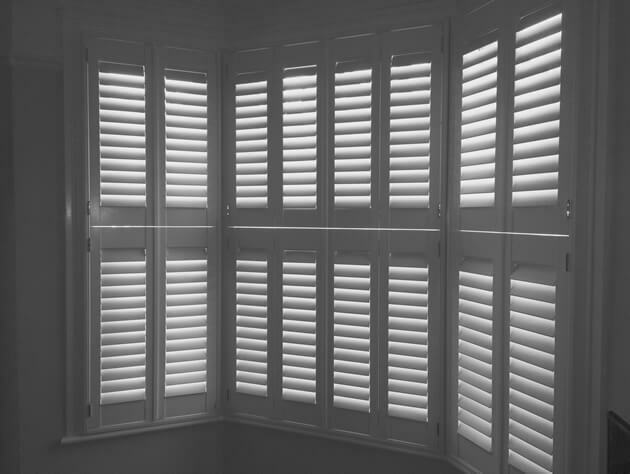 We used 64mm louvres with a hidden tilt rod system, allowing the shutters to be adjusted without the need for visible rods. They were finished in a pure white paint with bright brass hinges and attached to a 4 sided insert L frame.